Serena García Dalla Venezia's work originates from an interest in handcrafts and is carried out in a patient and laborious process. It uses the sum of gestures that are repeated and prolonged through time in order to transform materials as simple as fabric and thread into large sculptural and pictorial objects that are structured in an a way that's organic and flexible. By wrapping, tying, and intertwining fabrics and thread Serena produces smaller individual pieces that connect and adhere in order to form a larger total which may continue to grow. Serena is an observer of nature and natural processes. Her work resembles plants, roots and other organic beings that interconnect forming real construction systems in which the total is formed by many small parts. 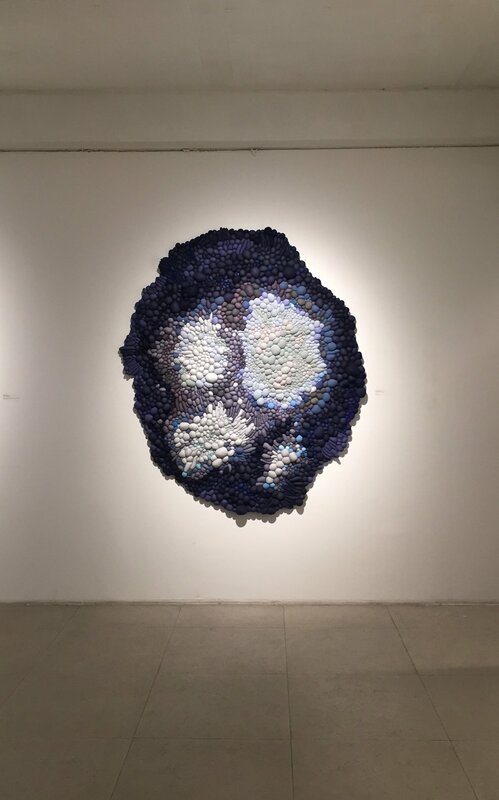 Her pieces are driven by the personal pleasure that meticulous work gives her, labor that requires time and dedication as well as the challenge that results in seeing what large dimensions can be reached or how much a piece can grow from these small actions and simple materials. Check out her amazing work on her website or Instagram. The internet has been very important for my professional life, thanks to social networks I have been able to spread my work and get it to be seen by people from all over the world. I think that currently the internet is fundamental for the self-management of artists, we no longer need a gallery or a manager to show our work. My inspiration comes mainly from the observation of nature and what the materials suggest me to do. I like to see other artists and creators on the internet, but I try to be true to myself and not to be influenced by other people's things to maintain originality. I found this by working hard and believing in my ideas. It has happened to me a few times and it is very disappointing, the work that an artist does is so personal that when someone copies them or does not recognize the value of creativity it hurts. But I am aware that by sharing the images they are made public, and finally I can only trust in my work and continue creating. A good consolation is to think that things are copied when they are good. My advice is to work hard. perseverance is fundamental. 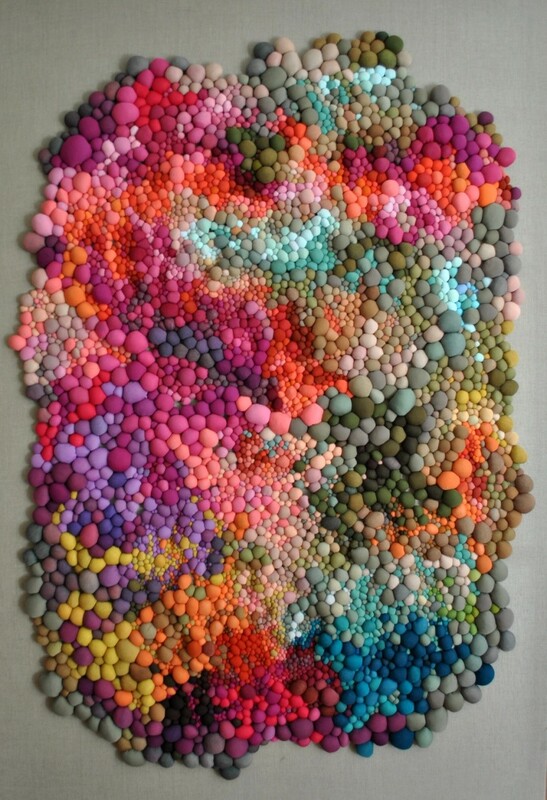 and an artist that fascinates me is Hanne Friis.